Thanks to your feedback, Swimia has develop into in just several months one the most important web-sites of swimming pools. 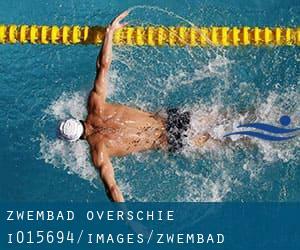 Here you've all the info we know about Zwembad Overschie, in Rotterdam. Don't forget you can also promote this pool so Zwembad Overschie will appear the very first of Rotterdam, or perhaps the first of one's country, contact us to know much more. Swimmers like you reported 20 meters, Indoors. Unfortunately we do not have the email address of this Swimming Pool, but we can give you the phone number. Updated on 2019 Dwarsdijk 8 , Rotterdam , NETHERLANDS (Postal Code: 3078 JD). Swimmers like you reported 25 meters, Indoors. Unfortunately we do not have the e-mail address of this Swimming Pool, but we can give you the phone number. Updated on 2019 Oostervantstraat 25 , Rotterdam , NETHERLANDS (Postal Code: 3002 EC). This sports center gives 25 meters, Indoors. Contact facts for this Swimming Pool for instance phone number and email address are number. Zevenkampse Ring 301 , Rotterdam , NETHERLANDS (Postal Code: 3068 HG). This sports center offers 25 meters, Indoors. Contact information and facts for this Swimming Pool such as phone number and email address are number. Updated on 2019 Crooswijksestraat 93 , Rotterdam , NETHERLANDS (Postal Code: 3034 AE). Among all the activities offered by the center, if you are interested in swimming you can take pleasure in 25 meters, 4 lanes, Indoors. Just in case you wish to contact this Pool before dropping by, we only know the phone number. Updated on 2019 Spaanseweg 4 , Rotterdam , NETHERLANDS (Postal Code: 3028 HW). Among all the activities offered by the center, if you are thinking about swimming you'll delight in 25 meters x 10 meters, 4 lanes, Indoors. Just in case you want to make contact with this Swimming Pool before dropping by, we only know the phone number. Updated on 2019 Bramanteplein 2 , Rotterdam , NETHERLANDS (Postal Code: 3066 BH). Swimmers like you reported 25 meters, Indoors. Unfortunately we do not have the email address of this Swimming Pool, but we can give you the phone number. Updated on 2019 Gooilandsingel 7 , Rotterdam , NETHERLANDS (Postal Code: 3083 DP). Among all the activities provided by the center, if you are interested in swimming you can expect to enjoy 25 meters, 6 lanes, Indoors. Just in case you need to contact this Swimming Pool prior to dropping by, we only know the phone number. Updated on 2019 Gerdesiaweg 480 , Rotterdam , NETHERLANDS (Postal Code: 3061 RA). Among all the activities supplied by the center, if you are interested in swimming you will appreciate 25 meters x 12 meters, 5 lanes, 2 meters - 3.5 meters depth, 2 meters - 3.5 meters depth, Indoors. Just in case you want to contact this Swimming Pool prior to dropping by, we only know the phone number. Updated on 2019 van Maanenstraat 8 , Rotterdam , NETHERLANDS (Postal Code: 3038 CZ). This sports center provides 25 meters x 12.5 meters, Indoors. Contact info for this Swimming Pool which include phone number and email address are number.